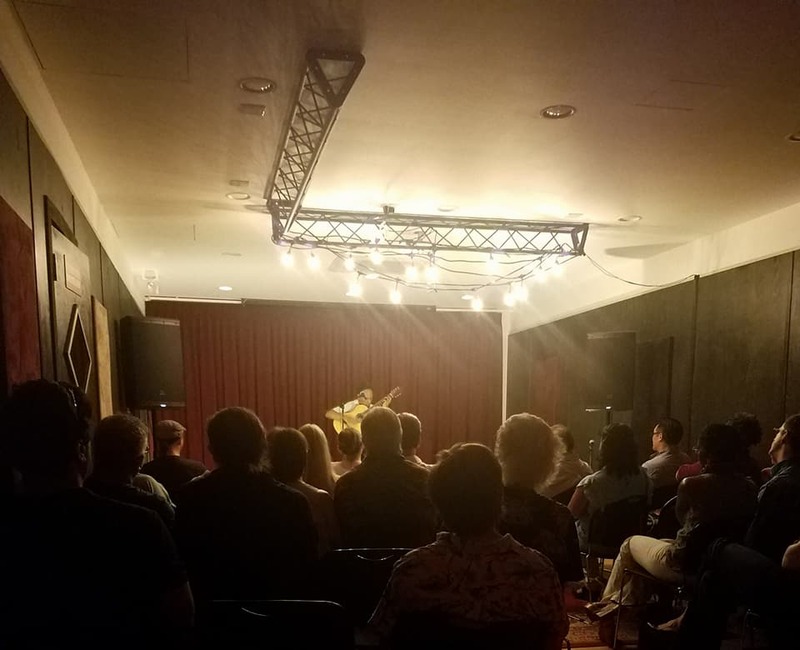 YOHAM ORTIZ is a composer, guitarist and vocalist having a conversation about environmental awareness and personal growth. A musician with an open ear to the world, Yoham’s compositions share stories about caring for our planet and each other. Yoham’s performances are driven by his emotive vocals and energetic finger-style guitar playing. 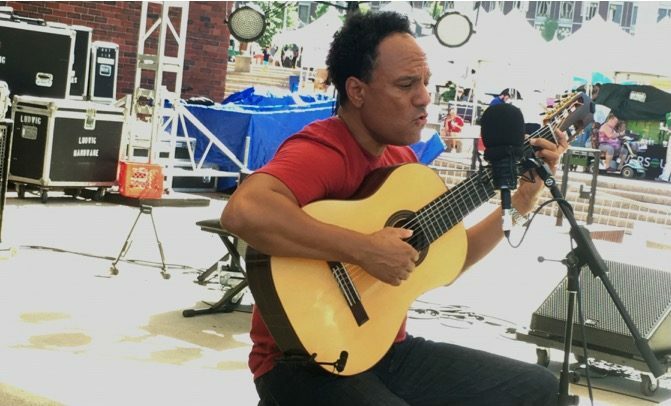 His virtuosic guitar technique fuses Classical, Jazz, Caribbean and South American styles including the little known Dominican Carabine. He sings in English and in Spanish. Yoham transcends the listener to the magic of experiencing our commonalities. “Go defy your odds” is the first line of Yoham’s song UNCOMPROMISING. A song that encourages us all to reach for the self we envision. TREES is a contemplative song about experiencing and appreciating our planet and the breath of life. BAIAO BLUES is a lament dedicated to refugees. CARABINE DEL EMIGRANTE tells the story of a person who has to immigrate to a foreign land because their homeland has been depleted of the resources it once provided. This song is about leaving something you love because it does not offer what it once did- that can be a person a thing, or a place. WATERFALLS is an instrumental inspired on the graceful strength and stages of waterfalls. Yoham Ortiz holds a B.A. in Music from SUNY at Old Westbury and a Master of Arts from NYU. Yoham’s study “Listening to the Language of the City: Understanding How Communities of Sounds Inform the Soundscape of New York City” is a part of an ongoing study of how the soundscape of cities influences people’s behavior, while suggesting ways in which city soundscapes could be designed or composed much like a musical score to benefit all living things. Yoham Ortiz composes, arranges, orchestrates and produces music for film, tv, media and recording artists in an array of genres including; Jazz, Classical, Afro-Caribbean and West African musical styles, for small and large ensembles. His clients include: Scholastic, PBS, Nickelodeon, Eclipse Films, Aqaba Fragrance, Kmart, Fox, Univision, Pantone Colors, Anacosta Films and Discovery. Yoham Ortiz’s recent performances include Boston Green Fest, a Dominican Republic Tour, the United Nations, Harvard University, Columbia University, The Yale Club in NYC, The Atlantic Antic in Brooklyn NY, BRIC House Live in-studio performance, the B-Side, Northeast Jazz and Wine Festival and the Montauk Music Festival. Yoham has also performed at Heineken Jazz Festivals; Chicago’s Ravinia Festival; Tempo Latino Festival in France; Lincoln Center in New York City; JVC Jazz Festivals; Festival del Caribe in Cartagena Colombia; Chicago Taste Festival and many more.